Please join us at 9:00 AM on Saturday, September 8, as we discover Hahn Woods Park and explore the Lullwater Preserve. 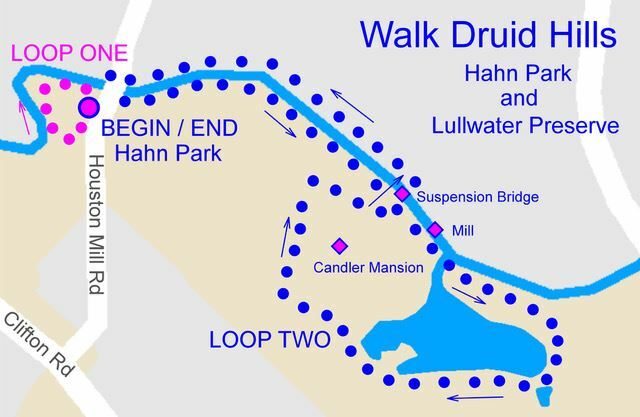 The total walk is about three miles, beginning with one short half-mile loop followed by a longer stroll. Park in the Hahn Park lot. This walk includes sections of uneven foot paths along the South Fork Peachtree Creek. We also will cross a pedestrian suspension bridge.